Should Your Agency Get Into the Sales Enablement Game? Sales enablement is a fairly new term. And that means its definition is still evolving as the industry attempts to refine the who, what, and how. But its goal is clear: to help sales reps close more deals. And while agencies have typically stayed on the side of the line that includes brand awareness, creative campaigns, and lead generation, there is a growing need from brands that need more bottom of the funnel and sales support. Because of this, brands are looking to their agency to help them align sales and marketing and to map the chaotic process that is now the buyer's journey. "The line between sales and marketing is quickly dissolving," said Mike Lieberman, co-founder and president of Square 2 Marketing. "The best companies are collapsing these two separate departments and starting to build a single revenue team. This means the people buying inbound marketing services today are also going to be buying inbound sales services tomorrow. Our job as agency owners is not only to deliver leads, but to help our clients turn those leads into new customers and revenue for their businesses." On top of this, 90% of the materials created by marketing are not being used by sales, and sales reps are spending 30 hours each month creating their own or searching for materials. Because of the wasted resources, companies are increasing their budgets to improve the effectiveness of their sales teams. According to SiriusDecisions, budgets for sales enablement have doubled to $2.4 million in the past two years, and companies have also increased their investment in sales enablement technology by 69%. This is a growing area -- one that aligns with what agencies are already doing. It also solves a few pain points agencies face. "Many agencies get fired even though they produce leads," said Pete Caputa, vice president, sales at HubSpot. "In addition, the time to prove ROI for marketing services is often long. 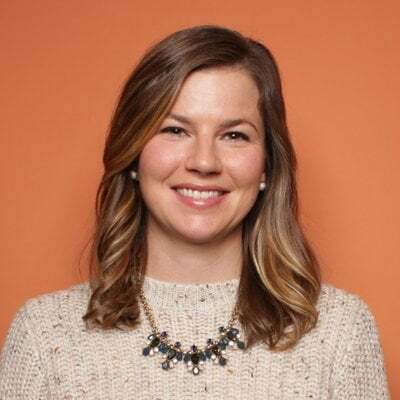 If an agency can improve something like the sales connect rate through some sales enablement services, they can more quickly showcase their worth." This is exactly what marketers think about each day: How do we deliver the right information to the right person at the right time. By looking at this through a sales enablement lens, agencies can create content and plan marketing initiatives that help reps have deeper, more informed conversations with potential customers. Again, creating deeper, more informed conversations is the core of what agencies do when creating campaigns. Square 2 Marketing offers an inbound sales package, which provides the team with a firsthand perspective of why clients are attracted to the offering. "When you’re able to offer a 'click to close' solution, clients get very excited, primarily because they’re used to a legacy of disconnected behavior between sales and marketing," Lieberman said. "Now, someone is interested in helping them create a complete cycle that takes visitors and turns them into revenue for their businesses." And when an agency can show its impact on actual revenue -- when it can connect the dots -- that's when clients see the firm as a partner and invest in larger contracts and longer engagements. One of the largest benefits agencies offer -- and this is true from a creative standpoint as well -- is an outsider perspective. Clients struggle with being objective when analyzing their processes. "A great example of this is how confident clients typically are when they tell us they have a well-executed sales process, yet they have a hard time articulating it to us," Lieberman said. "Agencies with a solid base of experiences are able to help clients see their blind spots, skip over the pot holes, and apply the best practices that have been learned from implementing aligned sales and marketing processes at other successful companies." Knowledge gained from streamlining and optimizing the entire funnel -- both sales and marketing -- can be applied to different types of businesses in different categories, and with a track record of success, agencies can build trust and charge more for their expertise. An SLA is an agreement between marketing and sales where marketing commits to generating a specific number of quality leads, and sales agrees to certain follow-up procedures. To create an SLA, you need to do some math based on the total sales goals, the average sales deal size, the average lead to customer close percentage, and the percentage of revenue from marketing- and sales-generated leads. You also need an understanding of the sales force’s bandwidth. An in-depth explanation of the formula for calculating a marketing and sales SLA agreement can be found here. These discussions should also be used to create a lead scoring program, where both marketing and sales can provide input. If buyer personas do not exist within the organization or if sales and marketing have differing views of their target buyer(s), there needs to be a meeting of the minds. Sales needs to be selling to and marketing needs to be marketing to the same persona. "If we’re doing our jobs, then we’re creating remarkable experiences for our clients’ prospects," Lieberman said. "These experiences bridge both marketing and sales." Agencies should conduct interviews with key stakeholders and current customers to discover demographic information, pain points, values, goals, etc., of the best type of client. They can also help the client to create an exclusionary (or negative) persona -- the person the sales team should not sell to. Marketing departments and their agency partners are pros at creating content that builds awareness and showcases what problem the company or product solves. But once a visitor gets beyond the top or middle of the funnel, the education process is over, except for a few case studies. By mapping the sales process in more depth, the team can understand what phases of the buyer’s journey are missing key information. Do you need vendor comparison sheets for competitive sales situations? Does the client have questions about implementation? Does the potential buyer need help narrowing down his choices? By going beyond the content aspect, you can also understand the key steps in turning a qualified lead into a paying customer. This should result in your agency creating a step-by-step process and training the staff on this inbound sales method. A study done by Vantage Point Performance and the Sales Management Association found that companies with defined sales stages achieve 18% greater revenue growth. In addition, 80% of sales are made after the 7th contact with a company, so it's imperative to have a clear idea where people are at in the process and what you can do to move them forward. Lieberman said that when he has performed a funnel analysis and presented how prospects are traveling through the funnel, it is often the first time a client sees the conversion rates. Once you understand the sales process and the core buyer personas, you can begin to map content to both the persona and the lifecycle stage of the visitor. The goal is to target content according to the person who will be consuming it and how close the person is to making a purchase. For the awareness phase, you might want to create how-to blog posts and infographics. For the consideration phase, you could create a template or worksheet. When the prospect is in the decision phase, he will need checklists and comparison guides or case studies. Once you’ve mapped the content to certain phases, you can create lead nurturing campaigns and sales collateral that align with this journey. This will also help you to determine what content already exists, what content needs to be created, and what content should be updated. People in different phases need different types of information. Different personas have different concerns. You need to cater to both the phase and the type of buyer you are marketing to. You can help the client understand this by evaluating customers go from awareness to evaluation to purchase. Then, you can create content that helps people move from one stage to the next. You should begin with more general content, such as a blog post on how to solve a problem. Then, you start show how your company can specifically solve that need. Prospect becomes an email newsletter subscriber. Send prospect an offer for a free guide. Follow up with the prospect after he has downloaded this free guide with additional tools and resources. Send an email promoting a few case studies. Send an offer for the prospect to attend a webinar on how the product is used by other brands. ... and so on until the prospect becomes a customer. This helps marketing to educate prospects, and it means those prospects are higher quality once they are passed on to a sales reps. Most likely, the sales reps already have some email templates saved. These are the best versions they have created, which means they also might be outdated. On the other hand, some reps might be wasting time writing individual emails for every prospect when that really is not necessary. Your agency can created customizable email templates that get the attention of prospects. You can also optimize these for a CRM for auto-logging or add them to your Sidekick account. You could create decks that educate the sales team on the best way to position a product or feature, or you could create a presentation for the team to use during conversations with prospects. Keeping the messaging consistent across all customer-facing reps is just an extension of what you do in marketing materials. These are usually one-page documents that sales reps can send to prospects. These should be tailored for each buyer persona so that they address different pain points, challenges, and needs. If you’ve done a competitive analysis of the client’s market, you could create a comparison matrix that sales reps can use to prove how the company is the perfect fit. This will help the reps be more informed and confident during competitive selling situations. One of the main goals of sales enablement is to get reps up to speed so they can meet their quota more quickly. These informative documents outline the problem or challenge a product address, questions to ask to see if the product/service is a good fit, how the product works, case studies, competitive positioning lines, training guides, and other resources. This document gives a rep a one-stop repository for learning all she needs to know about a product. If the brand’s product or service is constantly evolving, the company needs a way to keep all its reps informed. A weekly update on new features, pricing changes, campaigns, new content, etc., could be a valuable way to make sure sales reps are ready for their next call. According to Docurated, 83% of companies cite high-quality content as a top driver of winning new customers. The problem? Reps can’t find that high-quality content you created. Reps spend 31% of their time search for or creating content. That’s time they should be spent selling. Create a file sharing repository, have a process for updating and reviewing the assets, and promote their use to reps. Make it easy for them to search for, customize, and send collateral to prospects. Once you’ve created the content, track the sharing and viewing of this content. Create tracking URLs and use attribution reporting to understand what content is most influential in closing deals. Deliver these reports with recommendations to the client on a monthly basis. Ongoing training is essential for building a strong, reliable sales force. This is why sales enablement is a growing field -- inexperienced reps can have high churn rates, reps who are not challenged leave for competitors, and client satisfaction suffers from a lack of knowledgeable customer-facing reps. Product trainings, sales process and methodology coaching, and role playing sessions are all important for ongoing education, growth, and productivity. Propose creating a video series that goes over the sales methodology and process for new hires. Would the client benefit from product sheets and short quizzes that test the rep’s knowledge? Some companies still don't have a CRM software system; others struggle with internal adoption and getting value out of the software. That's where you come in. If the company is starting from scratch, conduct a audit of the business's process to understand how the CRM can best assist its sales and relationship management teams and how it should be used. You can also perform an assessment of the brand's current system to identify gaps and opportunities. If you have mapped the company's sales process, you can then align these with your CRM's deal stages. 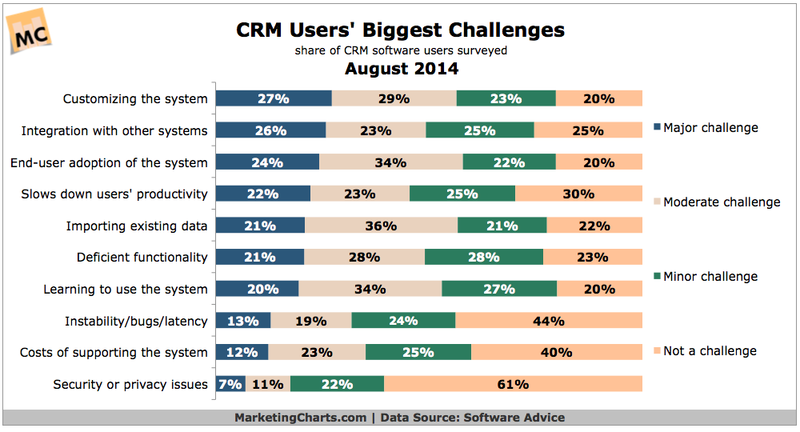 MarketingCharts details the challenges CRM users face. Videos can be a key part of both internal-facing sales enablement, such as training, and external prospecting and marketing. Providing video instruction can get the brand's new sales reps trained and ready more quickly. You could also create explainer videos, case studies, and product training videos to send to potential customers. Measuring the results of your sales enablement services is the key to proving your value as a partner. But measuring these programs can be a bit more difficult. One way is to track the lead-to-customer conversion rate. 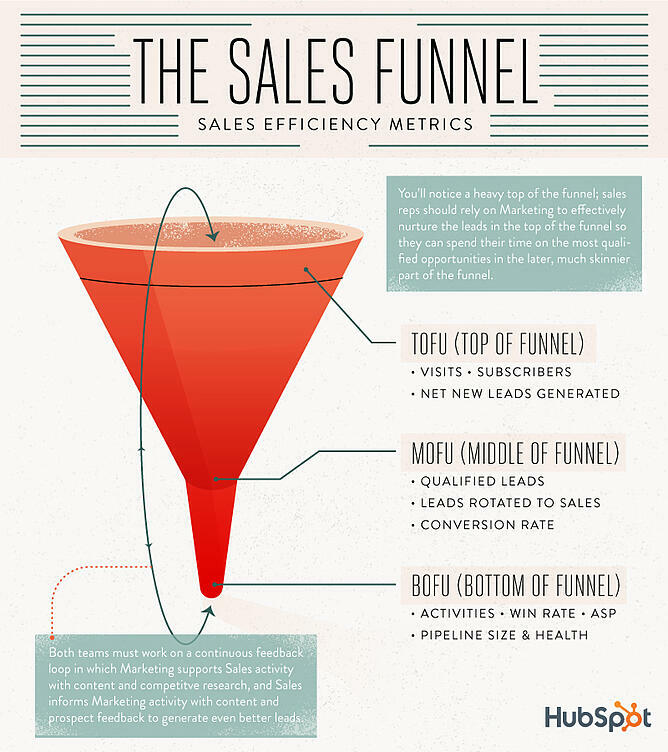 This will help you understand how effective sales reps are and if your efforts are improving the bottom of the funnel. You could also calculate the win/loss rate against competitors or set up an attribution report to analyze what content is influencing deals.